Off Road Skills bikes supplied for all off-road challenges. Ride your own BMW motorcycle for the road challenges. All new venue at Margam Country Park. Entry Fee now includes two nights’ camping / accommodation bed and breakfast. Optional off-road sections on the route. The whole event will be based at the Discovery Centre at Margam Country Park. Including in you Entry Fee will be a choice of basic accommodation: either camping for those that are keen to embrace the GS Spirit or Bed in shared accommodation within the discovery centre. You will be able to select your choice of accommodation during the booking process. Also included will be your Evening Meals on Saturday and Sunday nights and breakfasts Sunday and Monday mornings. There will be multiple workshops running both Evenings where you can learn some new skills and/or be entertained. A fun-filled bank holiday weekend packed with riding, navigating, camping, and competition. Two days of riding around the beautiful Welsh mountains, following a road book and tackling challenges along the way. For many, the GS Trophy UK Qualifier will be about great riding, enjoying the challenges and having a load of fun on their bikes. But for those with a competitive side, we’ll be totting up the points and announcing which riders make it through to the final afternoon where they’ll compete for a place on Team UK at the international final. The event is suitable for riders of all abilities and levels. The open event will involve a range of enjoyable on and off-road riding challenges, as well as practical, teamwork and navigation tests on the stunning roads around the region. 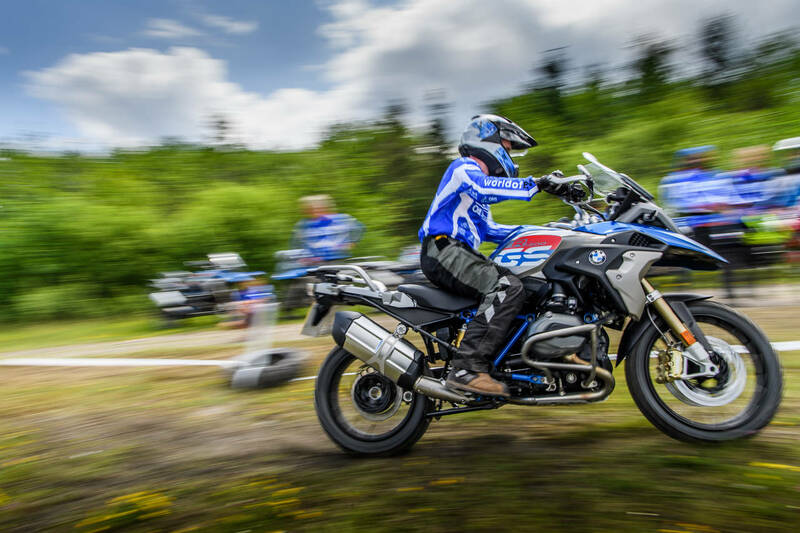 Importantly, the event is not a race, but an experience designed to capture the spirit of the GS, the exploration and enjoyment that adventure riding should bring. At the end of day one, the Welsh countryside will play host to the fun, as we enjoy an evening of entertainment, tales of the day’s exploits and delicious food. Monday’s ride takes in yet more of the stunning roads in the area, arriving at Walters Arena for lunch, where the finalists will be announced. At this point these riders will put their skills to the test in front of the judges and the public, in an exciting, spectator-friendly competition. When the dust has settled and the last rider has crossed the finish line, we’ll announce ‘Team UK’.